Thank you to Heather, creator and super-mom designer at Olive & Oliie for outfitting Dexter in his special birthday outfit! How cute is this shirt?! I love that these shirts are HAND MADE (with love, may I add) by Heather and they are created in a smoke-free environment. They are machine washable and easy to wash. I was able to get food and drink stains out effortlessly. Heather makes any design that you may want but I will attest that her birthday shirts/bibs turn heads!!! Here are a couple more Dexter pictures. I love the matching chenille birthday bib!! Here are a few of my favorite things from Heather's shop! The flower shirt is part of her new Spring '09 line. It is so perfect. I wish, just for a moment, that D was a girl so he could wear that flower! Heather was nice enough to offer one customized birthday shirt to one of my readers! All you have to do is head over to Olive and Ollie and let me know your favorite item. Come back here and leave the name of the item AND your email address. This glorious contest will end on March 26th at Noon EST. Please tell your friends because it feels so good to help others win! I'm Ali, (already a follower) and I love Heather's shop! It just so happens my little guy is turning one next month... so I would LOVE to snag a ONE t shirt! They are so cute. Eek, I'm the first poster!!! I love Olive & Ollie! Because it's from her new line and it's so so cute I'd love to get the cute bunny shirt in pink poppy. I think Olive and Ollie has some of the most adorable things!!!! I love the Monogram Tee's They are precious!! "Custom Monogram or Initial Applique Shirt or Onesie Handmade and Designed for You"
I don't remember how I found your site.. I've been following you for some time now! 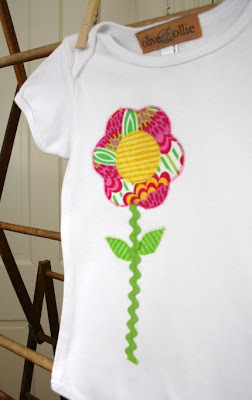 I love the Custom Appliqued Second 2 Birthday Shirt in Pink with Polka Dots and Stripes, this would be perfect for my little girl's 2nd birthday in June! Thanks for the great giveaway! I LOVE the flower shirt. It's adorable. Actually how could you pick just one item?! I'm following you on blogger...once I figure out how to do all that fancy linking. I will! love these: Monogram Tees SOOO CUTE! Can I say that I like them all, lol! My favorite is the "Custom Appliqued First 1 Birthday Shirt in Blue Mod Dots for Little Boys by Olive and Ollie", but in a short sleeved onesie. The Farm Fresh Eggs Custom Applique Monogram Chenille Bib is adorable! I love the butterfly bib. The birthday shirts are so adorable! My FAV item is the 'Custom Monogrammed Plush Chenille Blanket In Yellow Blue and Green Modern Dots'! Great giveaway! Thanks for the chance to win this too cute shirt! This would be great for my son's 2nd.......coming soon. Cute, cute stuff! I found you on APA in the CD section. My favorite is Custom Appliqued Third 3 Birthday Shirt in Pink with Cupcake in Polka Dots and Stripes by Olive and Ollie (but for my Madi, she'll just be turning 1) I found you through the APA website. I also liek the O Mod Christmas Tree Custom Applique Lounge Set tee! These are all so cute! Hello, it's Sharon from APA! I also LOVE Heather's shop! My favorite item is "Custom Monogrammed Plush Chenille Blanket In Yellow Blue and Green Modern Dots" and it just so happens that AJC are my sons initials. I love the birthday shirts also! Heather is so creative. If I don't win, I am definitely going to purchase on closer to Adam's first birthday. I already follow you, but Im going to go tweet now! I found out about this because I'm on APA! 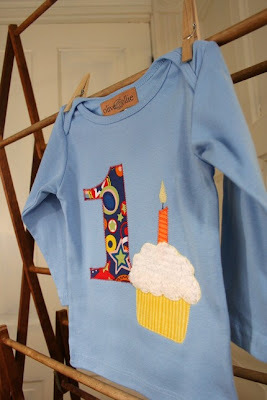 I like the Custom Appliqued Birthday Shirts by Olive and Ollie RESERVED with 4 on it. Thanks. I like the The Ultimate Bib and Burp Cloth Set in Yellow Martini Dots. My favorite is the Modern Bunny Rabbit Applique Onesie. I found your site on AllAmericanMommy Blog. I love everything! 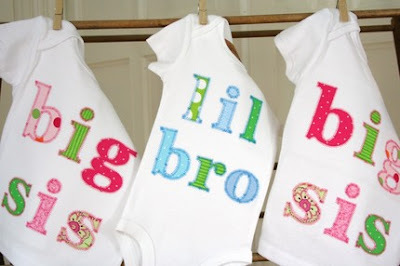 How cute and I will be needing a new shirt for each of my boys birthdays! Love the Custom Appliqued Second 2 Birthday for Boys in Orange with Bright Doggies by Olive and Ollie! Found your site through my EC dropping and I faved you through EntreCard! And I faved you thru Technorati! I would love the one t with a cupcake for my daughters 1st bday this summer!